Q. I have forgotten my Library PIN. How do I reset it? New incoming students, please note that you will only be considered a student of NUS when you officially matriculate (pre-matriculation isn't sufficient). Upon official matriculation, it may take a few working days for the library record to be ported over. For new staff please see troubleshooting guide. 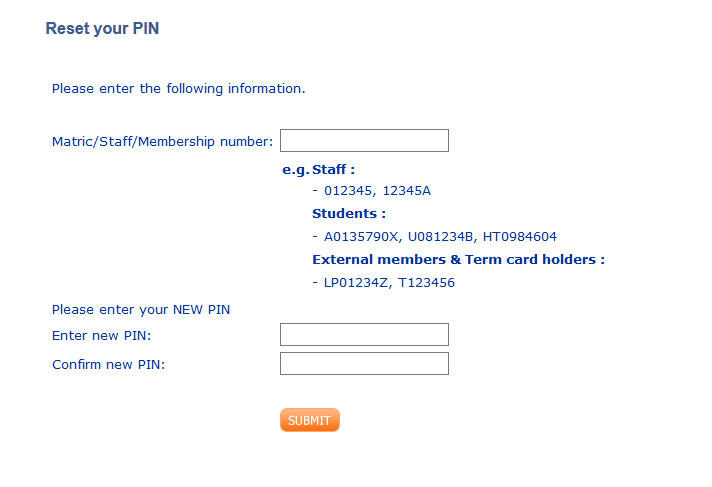 Please note that your Library PIN is not the same as your NUSNET password (which you use to access IVLE and NUS Mail). If you have forgotten your Library PIN, you can reset it by following the instructions listed below. If you are still unable to access your Library Account after trying to reset your Library PIN, please contact Loans & Membership at loans@nus.edu.sg or call 6516 2016 for assistance. 1.If you are a new staff or student who recently joined us, your profile might not be setup yet. You can wait a few days or contact us with details of your problem and we will assist you. Depending on the profile, you might already be able to access eresources immediately. 2. You are using Internet Explorer 7/8/9/10/11, Firefox, Chome or Safari . All other browsers are currently not officially supported and may have issues. 3. 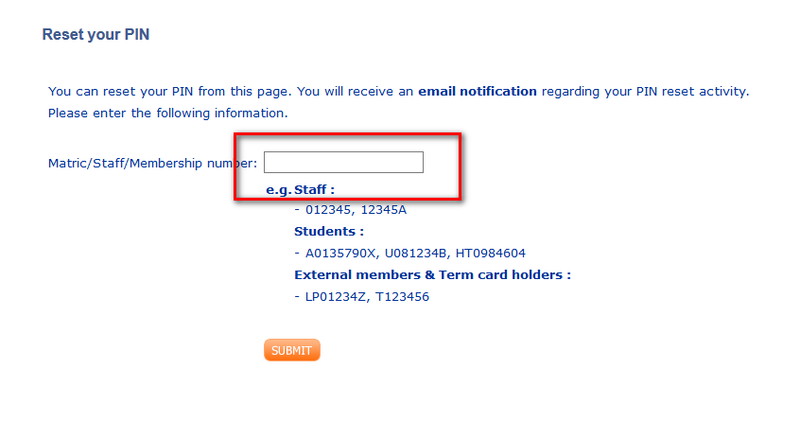 You are entering your staff number or matriculation number and Not your NUSNET ID. 4. You have entered your Library PIN correctly. 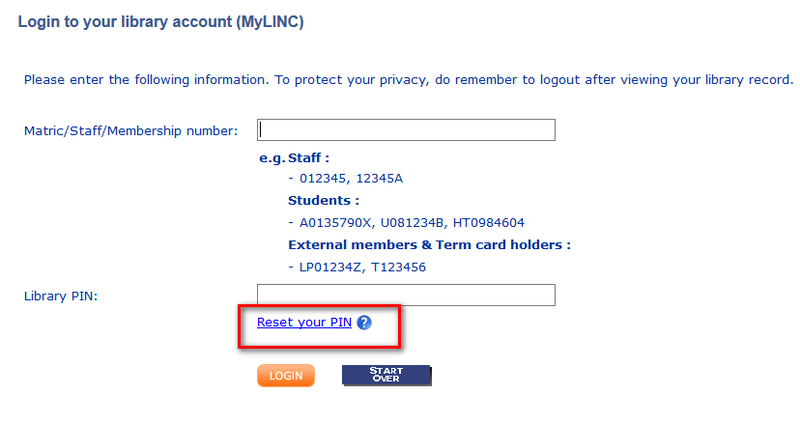 If you have forgotten or do not know your Library PIN, you can reset your library PIN here.